With a deep tradition in handcraftsmanship, Turkey’s spectrum of goods includes everything from colorful ceramics to beautiful hand-stitched textiles and much more. 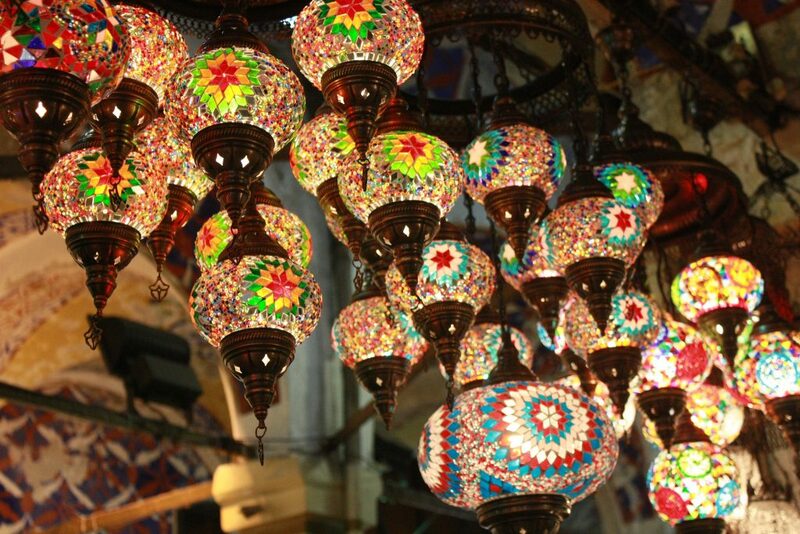 Inspired by a stroll through the Grand Bazaar, Culture Trip takes a look at some of Turkey’s most inspiring décor items. The world of Turkish textiles is wide and varied and includes peştamel (Turkish towels) from high-quality cotton, silk scarves, Ikat fabric (dyed fabric), and pillows with traditional motifs. One of the best places to browse through a world of Turkish textiles is the Avrupa Pazarı in the heart of Istanbul, where you’ll find every color and motif imaginable in the many shops. One of the best places to buy traditional and handmade Turkish towels made from organic cotton is Jennifer’s Hamam in the Arasta Bazaar. 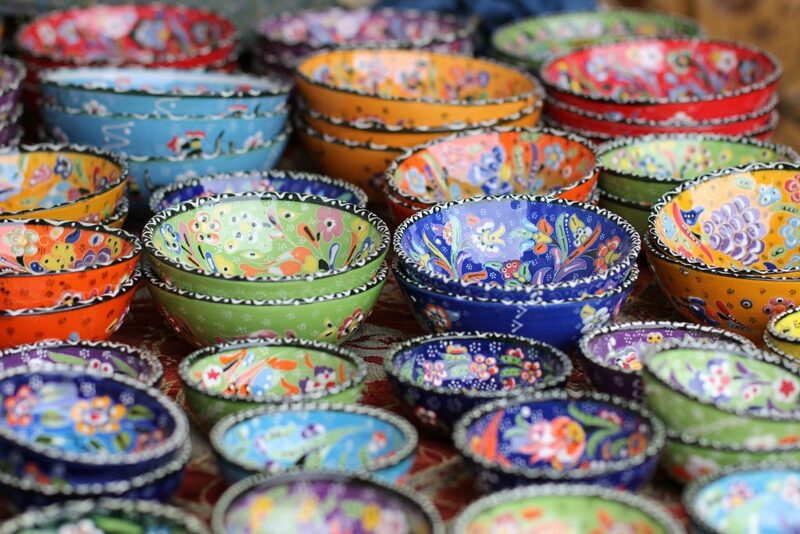 Turkey’s colorful ceramics have become an integral part of its image and include beautiful bowls that are hand-painted with traditional motifs. You’ll also find more modern ceramic works outside tourist haunts (the Grand Bazaar); you can visit places such as Kulak Ceramic in Balat, which specializes in handmade ceramic collections in natural tones and shapes. There may not be as many silver handicraftsmen as there used to be, but Turkey’s handmade silver objects are still an important part of every Turkish home. Whether it’s an ornate silver tray or silver encrusted mirror, the beautiful details of these objects are almost nostalgic in their beauty. You’ll find excellent silver shops all around the Grand Bazaar, especially the one from Sait Asıl, who has a huge array of silver home objects from dining sets to candleholders and more. The traditional lanterns handmade from glass and small mosaics give off a muted and colorful kaleidoscopic light that are even more beautiful during the summer evenings in the garden. Even though the Grand Bazaar has plenty of these lanterns, if you happen to be in Bodrum in the summer, you can opt for a different version of this lantern, made from dried gourds that are hand-carved and adorned with colorful decorations. Make sure to meet the artisans at Le Kabbak in Gümüşlük, who make these beautiful lamps at very affordable prices. No list of decorative items from Turkey would be complete without carpets, which have become famous worldwide. Whether it’s a kilim (flat weave), traditional rug, or a more contemporary carpet, the hand-woven beauties from all over Anatolia are always an attention-grabbing addition to every home. Two of the best places to buy carpets without having to worry about being sold a subpar item are at Nakkaş and Recep Karaduman in Istanbul. The evil eye (believed to fend off the negative energy exuded from the eyes due to envy) is another essential part of Turkish decoration, and you’ll usually find an evil eye hanging over the entrance of every home. You can get some excellent evil eyes (called “Nazarlık”) from Paşabahçe to hang up and protect you and your home. Also known as çini, Iznik pottery (named after the town of Iznik where it hails from) has become famous for its dark blue and red motifs that not only decorate home objects but also some of the most beautiful mosques all over Turkey. The colorful Iznik motifs are a perfect addition to the home, whether it’s in the form of actual tiles or objects with the signature motif. We’re especially fond of The Guide Shop’s gorgeous hand-painted ceramics and pottery that you can easily order online. 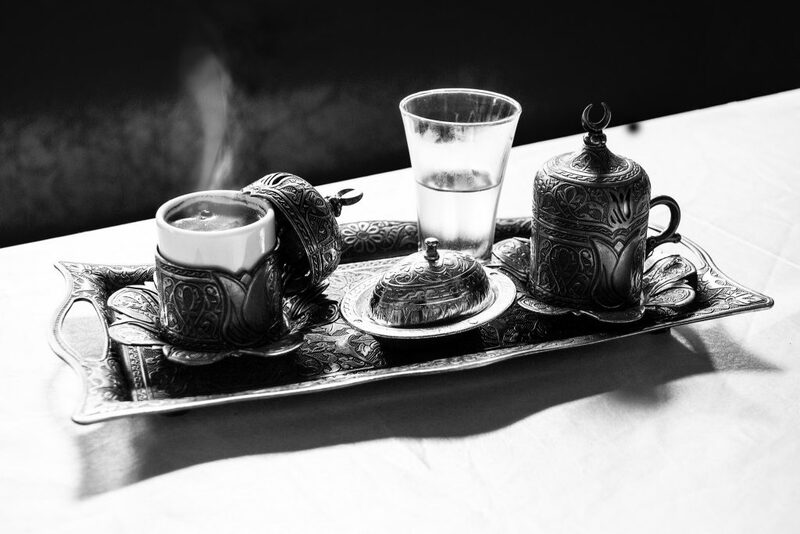 Apart from silver, copper also plays an important part in Turkey’s decorative identity. From the copper Turkish coffee pots to the traditional water jug, every major bazaar has its copper goods such as the Bakırcılar Çarşısı inside Ankara’s open-air bazaar Saman Pazarı. For a more modern outlook on copper, check out the professional grade cooking utensils of Soy Türkiye.